We are offering A variety of "Superior Wireless Nurse Call Systems" that happened to be among the most versatile in the industry. 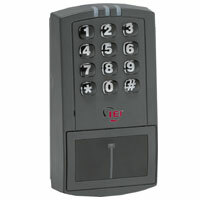 Wireless Nurse Call System's & Emergency Call Dealers and installers for most areas. Tek-CARE-500 is the first wireless nurse call / emergency call system* that can handle EchoStream (ES) and Frequency Agile (FA) transmitters at the same time! Tek-CARE-500 provides senior living facilities with the most advanced security and safety available, giving residents the peace of mind and independence they deserve. 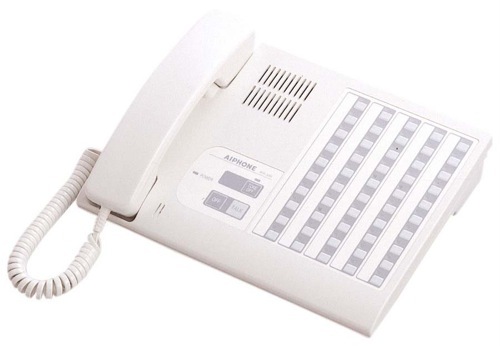 THE TC500 SERIES TEK-CALL WIRELESS EMERGENCY-CALL SYSTEM IS DESIGNED FOR HEALTH-CARE AND OTHER APPLICATIONS WHERE VOICE COMMUNICATION IS NOT REQUIRED, AND WHERE A CONVENTIONAL 'WIRED' TYPE SYSTEM IS IMPRACTICAL OR NOT FEASIBLE. THE TC500 ADDRESSES THE NEEDS OF RESIDENTS AND STAFF BY COMBINING EASE OF OPERATION, WITH HIGHLY RELIABLE 900 MHZ. WIRELESS TRANSMISSIONS. THE TC500 SYSTEM IS IDEAL FOR ASSISTED LIVING AND/OR SENIOR RESIDENCES, AS WELL AS FOR HEALTH CLUBS, TOILET ALARMS, AND OTHER AREAS THAT NEED TO ACTIVATE A CALL FOR HELP SIGNAL. BECAUSE OF ITS ABILITY TO ADD REPEATERS, THE RANGE OF THE NC500 IS VIRTUALLY UNLIMITED, AND CAN BE USED IN A LARGE 'CAMPUS' TYPE SETTING. OPTIONS INCLUDE POCKET-PAGING CAPABILITY AS WELL AS WIRELESS SMOKE DETECTORS, WATERPROOF PENDANT TRANSMITTERS, WIRELESS MOTION DETECTORS (FOR UP AND ABOUT NOTIFICATION), AND MUCH MORE.. THE TC500 IS NOT A U.L. LISTED NURSE-CALL SYSTEM! 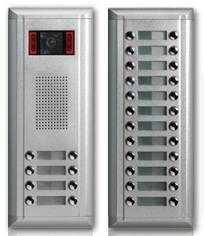 Wireless Paging Systems also offer additional wireless options for even more productivity improvement, such as: wireless corridor (dome) light fixtures, wireless Public Address speakers for facility-wide voice messaging, text messaging to wireless alphanumeric LED displays, remote activation of wireless strobe lights, local interface to the local phone system and network, wirelessly synchronize analog and digital clock times and more. With a Wireless Nurse Call System's / Emergency Call System's you can be assured that your facility is safe and secure, and that residents’ calls for help will not be missed. Our Wireless solutions are easy to install and easy to upgrade to from a pre-existing emergency call system. Wireless stations can be mounted just about anywhere in your community, so installation costs are lower than traditional hardwired systems. Wireless also offers the flexibility of being able to reposition stations within rooms to accommodate individual resident needs. The flexibility and security of a Wireless Emergency Call System can help improve the quality of life for your residents. Immediate Response: When a caregiver carries a wireless device, they are able to receive patient calls immediately regardless of their location. This functionality allows them to respond rapidly to patient requests—which greatly improves patient satisfaction and care. Improved Efficiency: Because a voice conversation through the wireless device can be established with a patient regardless of the caregiver’s location, the number of redundant trips/steps for nurses to provide care is reduced significantly. This not only increases staff satisfaction, but greatly improves staff productivity as well. Some of the top Nurse Call System's / Emergency Call System's on the market are, System's Technologies (Vision Link, VisionPro, Vision Pro) RF Technologies (Code Alert, Quick Response) Tel-Tron Wireless Emergency Call System, Tek-Tone (Tek-CARE 500) and CISCOR Wireless Nurse Call. New Jersey Wireless Nurse Call System's & Emergency Call Dealers and installers for most areas including.